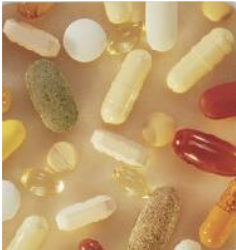 Are Nutritional supplements fact or fiction? Don’t just listen to all the hype, to balance your Fitness efforts, you have to balance your workouts with a proper diet and nutrition plan. , At the Body Master I keep up with all the latest nutritional trends, and can provide you expert diet and nutritional guidance as to what does and doesn’t work. Just as I will create a custom personalized workout routine for you, I will recommend the appropriate vitamin, mineral, health and sports supplements as well as putting together a custom diet program that will enhance your progress and get you to your goals that much faster. As I mentioned I always strive to stay on the cutting edge regarding what’s new in the world of diet and nutrition and will help educate you on these confusing subjects as well as with giving you do this don’t do that instruction. In order to ensure and help you in your weight loss and fitness success, I have gone the extra mile and now have “done for you” Meal plans no matter which type of diet you need. Going Paleo? Looking for a weight loss plan? Need a plan for a Diabetic? Are you an athlete who needs to be on his diet game? No worries, I got you covered and have the plan for you and I’ve made sure to have gone the distance so you get all them coming with done for you grocery lists as well. In addition, I have spent decades in the trenches of fitness and have learned and developed a slue of diet secrets and tricks that I keep up my sleeve when it comes to helping you to losing more fat than you can even imagine. The Body Master's exercise programs are designed to boost your metabolism, help you burn maximum fat calories, and get you in great shape in record time! You see, there is a difference between training to burn overall calories and burning FAT CALORIES, I will teach you about this when you come in for your free analysis. Come in and discuss your goals today! You and 3 of your friends or family can come in to: strengthen muscle and become more fit, lose fat, become more flexible, have higher endurance, have done-for-you meal plans and grocery list, and learn lifestyle changes for a healthier life.